Thomas Becket. Archbishop of Canterbury. Thomas Becket. Archbishop of Canterbury (1118-1170). This entry was posted in 12th Century, Ecclesiastical, England, Middle Ages and tagged Chasuble, English history, Gothic costumes, Medieval costume, Mitre, Monastic clothing, Pictures and Royal Portraits on 4/29/15 by world4. Thomas Becket. Archbishop Ecclesiastical Costume. 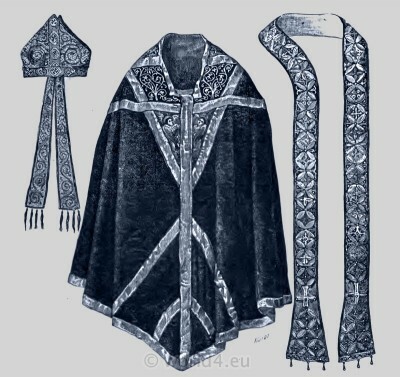 Chasuble, Mitre, and Stole of Thomas Becket. 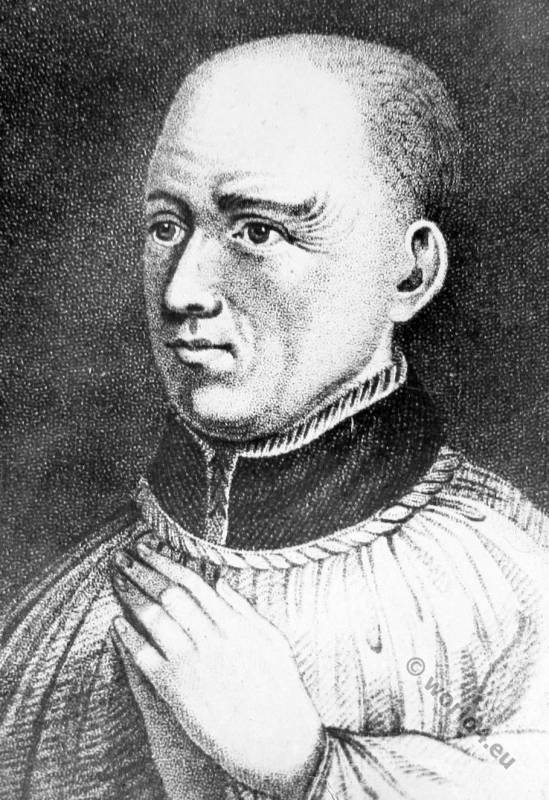 Thomas à Becket. Archbishop Ecclesiastical Costume. Chasuble, Mitre, and Stole of St. Thomas Becket, Archbishop of Canterbury (1117-1170); preserved in the Cathedral of Sens. Cloth and Embroidery of the Twelfth Century. The life of Thomas à Becket. Archbishop of Canterbury. This entry was posted in 12th Century, Byzantine, Ecclesiastical, England, Middle Ages and tagged Byzantine fashion era, Chasuble, Ecclesiastical Dress, Gothic costumes, Medieval costume, Mitre, Monastic clothing on 4/24/13 by world4.